The only thing better than a glass of bubbly is a cocktail made with bubbly! 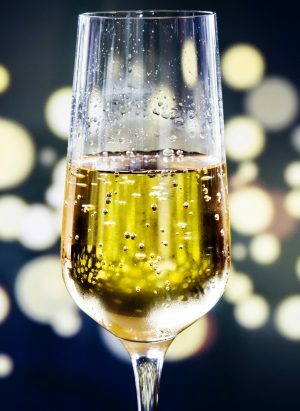 Get a head start on the holiday season by learning to make a variety of cocktails that feature sparkling wine and will take your holiday entertaining to the next level! Your booking includes light snacks (pretzels, nuts). The class includes a combination of history and stories, technique instruction, and hands-on making of cocktails. Plus sampling, of course! Total consumption is equivalent to 1.5-2 cocktails per person over the 90 minute class.